Vegetables - Which is different? Vegetables theme large manipulatives to make games and activities. 8 pgs. Vegetable garden emergent reader and counting booklet to make.Cut and paste the sets of vegetables on the appropriate pages. 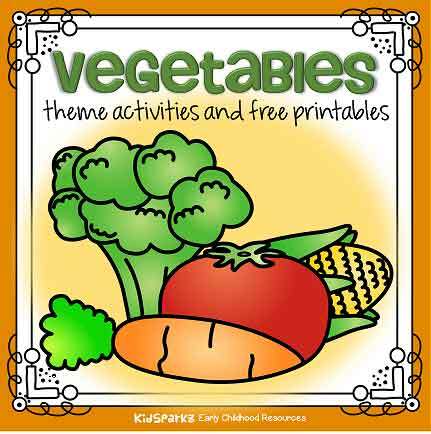 Become a site member to download these activities in the Member Library area on the Vegetables theme page.